Although consumers increasingly claim to demand ethical products and state that they are willing to reward firms that are ethical, studies have highlighted that there is a significant gap between consumers’ explicit attitudes toward ethical products and their actual purchase behavior. This has major implications for firm policies revolving around business ethics. This research contributes to the understanding of the attitude–behavior gap in ethical consumption that literature has identified but not explored much. We utilize the model of dual attitudes as a basis for the arguments presented in the paper and test them. We suggest that the gap in ethical consumerism exists because individuals have implicit as well as explicit attitudes, which are impacted differentially by stimuli and elicit dissimilar behavioral responses and thus have different implications for business ethics policies. Two longitudinal studies are conducted to better understand the impact of an individual’s dual attitudes on preferences and choice. Our findings support the presence of dual attitudes in consumers. Explicit attitudes are found to be easily influenced by the nature of the stimuli. On the other hand, implicit attitudes are relatively unaffected by the nature of the stimuli present and remain relatively constant. Based on the findings, implicit attitudes guide behavior and determine an individual’s preferences. Even though explicit attitudes react to the stimuli presented, our findings suggest they have no impact on the choice of consumers. 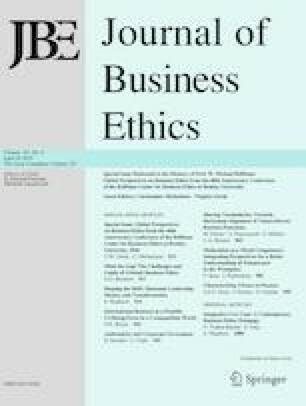 These findings improve the understanding of ethical consumption, provide a reason as to why the attitude–behavior gap exists, provide a foundation for future researchers and help firms better understand the impact of perceived business on creating a behavioral shift in ethical consumption. The authors Rahul Govind, Jatinder Jit Singh, Nitika Garg and Shachi D’Silva declare that they have no conflict of interests. Carr, J., Lee, D., Scaife, A., & Hayes, I. (2013). Food statistics pocketbook. Department for Environment, Food and Rural Affairs. https://www.gov.uk/government/uploads/system/uploads/attachment_data/file/315418/foodpocketbook-2013update-29may14.pdf. Last Accessed Sept 26, 2014. Clarke, M. (2012). Ethical Foods. International situation assessment, opportunities and threats. Australian Government, Rural Industries Research and Development Corporation https://rirdc.infoservices.com.au/items/11-147 Last Accessed Sept 26, 2014. 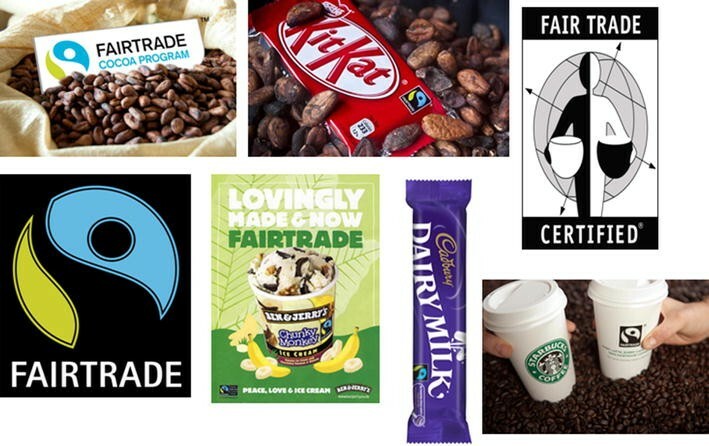 Fairtrade International. (2014). Strong producers, strong future annual report 2013–14. Fairtrade International. http://www.fairtrade.net/fileadmin/user_upload/content/2009/resources/2013-14_AnnualReport_FairtradeIntl_web.pdf. Last Accessed Sept 26, 2014. Merrill, J. (2013). Oxfam accuses Coke and Pepsi of taking land from the poor. The Independent UK. http://www.independent.co.uk/environment/green-living/oxfam-accuses-coke-and-pepsi-of-taking-land-from-the-poor-8852161.html. Last Accessed June 09, 2014. Osborne, L. (2013). High-street fashion store Zara accused of using slave labour at factories in Argentina. Daily Mail. http://www.dailymail.co.uk/news/article-2303358/High-street-fashion-store-Zara-investigation-use-slave-labour-factories-Argentina.html. Last Accessed June 1, 2014. Oxfam International. (2013). The Coca-Cola Company declares “zero tolerance” for land grabs in supply chain. Oxfam International. http://www.oxfam.org/en/grow/pressroom/pressrelease/2013-11-08/coca-cola-company-declares-zero-tolerance-land-grabs-supply-chain Last Accessed June 09, 2014.